SolutionDots has just taken a quantum leap in its strategy first. For the first time, we have launched an ERP solution that is not only suitable for machinery market. Second, the new ERP is fully web-based. SolutionDots is an innovative of comprehensive Web-based Business management solutions enables automation, management and control for various business processes anytime, anywhere. We are providing access to information through the Internet and improving productivity for your company. SolutionDots, which sits on the basis of an advanced technological architecture, is a complete solution, integrated with the rest of CAD / CAM solutions. And we encourages the use of enterprise portals. We have composed a broad set of modules, among which are HMS, Sales, Purchasing, Payroll, Warehousing, SCM, CRM, HR and many more. SolutionDots has incorporated a number of features, which can benefits a lots and helps to significantly improve the process of decision-making. We thanks to incorporated BI tools (Business Intelligence), reporting and dashboards menus. These features which includes power, high processing capacity, easy and intuitive operation and deep knowledge are the specialization of SolutionDots. SolutionDots is the best service providers especially in the sector of education and human resource. SolutionDots aims to promote the area of ​​ERP unit is expected to generate about 40% of global sales of the companies all over the world. Our software are available in English and Arabic languages. We are proud valley to train our customer’s staff. We also offer user manuals as well for end user facilities. We also offer online support to our customers. SolutionDots incorporates a wide range of functions and features, and is the result of the strong commitment of the company to innovation. With it demonstrates its commitment to offer advanced, comprehensive, quality and can be constantly updated to meet the needs of the most demanding enterprise solutions on the market. SolutionDots is focused on the process of automation, productivity and cost reduction. Our key objectives of business is integration of all business processes over the Internet. Thus, this new platform is characterized by offering a lower total cost of ownership (TCO) and rapid return on investment (ROI), which makes it the ideal solution appropriate to the economic and financial capacity of any company. Read more about Top 12 Free and Open Source HR Software Systems. We have developed our ERP suite using PHP & MySQL technology, which are compatible with all Windows versions. Our new solution is a powerful, next-generation product that offers a variety of tools that enable, fast and effective features in the business process. Our Multiplatform architecture solutions, which are permitting greater scalability and adaptation to each business representative. Our customized features for your business requirement make our solutions more favorable for all SEMs. These features offer ease to all organizations irrespective of their domain size. We shall customized & amend module each software as per your own requirements. Which are easy-to-handle and manage, which allows complete mobility for end users. The new ERP consists of a comprehensive set of functional modules that allow you to cover comprehensive and integrated the needs of current and future management of the company in each areas. From initial capture process client to final service support. 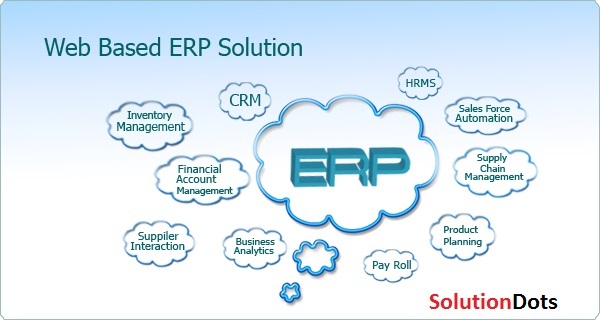 Our best experience about web based ERP software using PHP & MySQL.